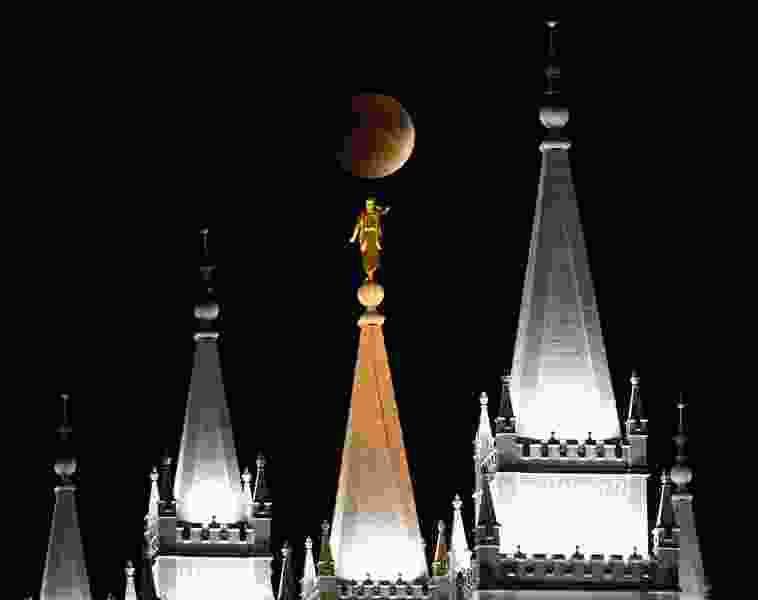 Lennie Mahler | The Salt Lake Tribune The supermoon rises as it simultaneously is eclipsed over the Latter-day Saint temple in Salt Lake City on Sunday, Sept. 27, 2015. But many of these explanations don’t hold water statistically, based on findings from former members in the Next Mormons Survey (see here for more about the study, and here to order the book, which will be available March 1). Within orthodox Latter-day Saint circles, there’s a general impression that people who leave the church abandon faith in God altogether, but this isn’t quite accurate, especially outside of Utah. This means that 86 percent of former Latter-day Saints say they believe in God, though they may have doubts at times or feel God is more like a “higher power” than a personal deity. It’s inaccurate to characterize former members as having rejected all religious belief. For most, the reality is far more nuanced and complicated. Many actually hold on to not just a belief in God but also to basic Christian teachings about Jesus and the afterlife. They do not, however, tend to still believe in specifically Mormon teachings about church founder Joseph Smith, the Book of Mormon (the faith’s signature scripture) or contemporary prophets and apostles. Another standing narrative within Latter-day Saint circles is that people left the church because they had an argument or misunderstanding with a member or local leader and chose to hold a grudge about it for years. In a 2006 General Conference talk, apostle David A. Bednar gave several examples of this, including a member who was insulted by a comment made in Sunday school, and had not darkened the door of a church since; and another person who disagreed with some advice from the bishop and refused to attend until that lay leader was released. Out of a total of 30 possible reasons the NMS offered respondents to explain why they left, “I was hurt by a negative experience at church” ranked 11th overall. So it’s not irrelevant, but it’s not the most salient reason either. More popular reasons included a loss of belief that there is “one true church,” a lack of trust for church leaders about Mormon history, concerns about LGBTQ issues, and a general sense of feeling judged or misunderstood. What’s more, in the write-in boxes where people were given the option to elaborate on their answers, some of the stories that could be said to fall into the category of “I got offended” were far more serious than Bednar’s examples might indicate — for example, the church siding with an abusive husband/father in a divorce case. More people are leaving Mormonism — but not so they can join another church. A third of former Latter-day Saints now identify with another organized religion, including mainline Protestant (7 percent), evangelical Protestant (10 percent), Catholic (6 percent), and all other religions (11 percent combined). The other two-thirds say they identify as “nothing in particular” (27 percent), “just Christian” (21 percent), agnostic (12 percent), or atheist (6 percent). Broadly speaking, they would be characterized as “nones” in today’s religious landscape. This is similar to what Pew found in 2014 about former Latter-day Saints: about six in 10 ex-member did not affiliate with something else. What this seems to show is that Mormonism is (once again) somewhere in between a mainstream religion and a minority faith. Like Catholicism, mainline Protestantism, and Orthodoxy, Mormonism is a Christian religion, which may facilitate religious switching in a predominantly Christian country like the United States. But like Judaism and Islam, Mormonism is also a tiny minority (less than 2 percent of the U.S. population in each case), and it is religiously distinctive. Both of those things make religious switching harder. There’s also a Utah factor. In the NMS, former Latter-day Saints in Utah were less likely to affiliate with another religion. In fact, they tended to have significantly lower Christian beliefs overall than ex-Latter-day Saints who lived elsewhere in the U.S. It’s worth asking: What is it about former members’ experience in Utah that seems to turn them off religion altogether? Finally, one of the most noteworthy findings of the NMS research into former Latter-day Saints was how happy they are with their path after leaving. The “loss, anger and grief” aspect seemed most present for respondents who were still in the throes of a recent faith transition, or who had struggled with their membership for years before leaving Mormonism, or whose family members were all still devoted to the church. They are a small minority, however—fewer than one in 10. This finding is at odds with a standing narrative in the Utah-based faith that to exit the fold is to leave warmth and happiness behind. That may be true for a time, but it does not appear to be true for life. In the study, a quarter of former Latter-day Saints chose “I engaged in behaviors that the church views as sinful” as one of their top reasons for leaving the faith. It ranked sixth overall. Benjamin Knoll contributed research and analysis that are discussed in this post. 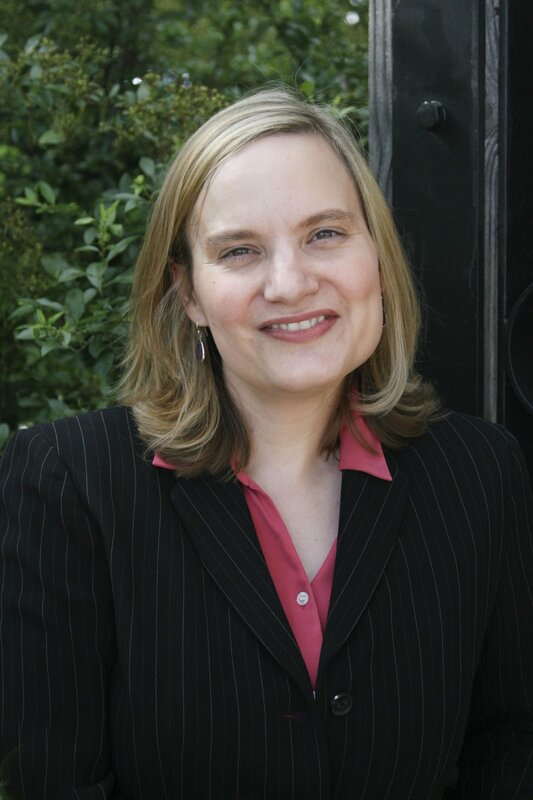 (Photo courtesy of Jana Riess) Jana Riess, Latter-day Saint writer and editor.